You will discover a comprehensive choice of healthcare property to rent in West Bromwich at MOVEHUT. We have warehouses available that would be ideal for pharmaceutical storage and distribution. 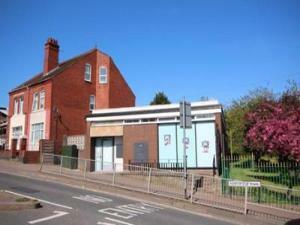 Additionally, we have properties to let that are ideal for pharmacy and retail related medical stores in West Bromwich. There are two types of healthcare services in West Bromwich. There is no charge for public healthcare which is provided by the NHS. However, private healthcare must be paid by the recipient of any procedure, which can be more expensive but ensures quick treatment. Here at MOVEHUT, we have plenty of healthcare properties available, whether you wish to operate publicly or privately. All healthcare properties are assigned their own specific use class, which is worth bearing in mind before searching to rent in West Bromwich. With a hospital or nursing home you will typically find a property use class of C2, which denotes the property as a residential institution. Regardless of your final decision, it's easy to find a suitable healthcare property to let in West Bromwich with us. 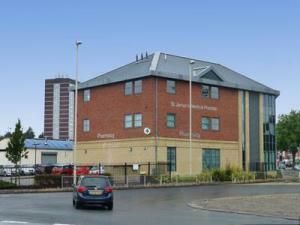 If you're looking to rent a medical property in West Bromwich, there are a few factors you should carefully consider. Essential things to consider when renting a healthcare property include the price and the size of the property. So make sure your search goes smoothly by knowing your exact requirements for a healthcare property to rent in West Bromwich.